It’s time to PAUSE for a few minutes for our weekly FMF blog link-up! 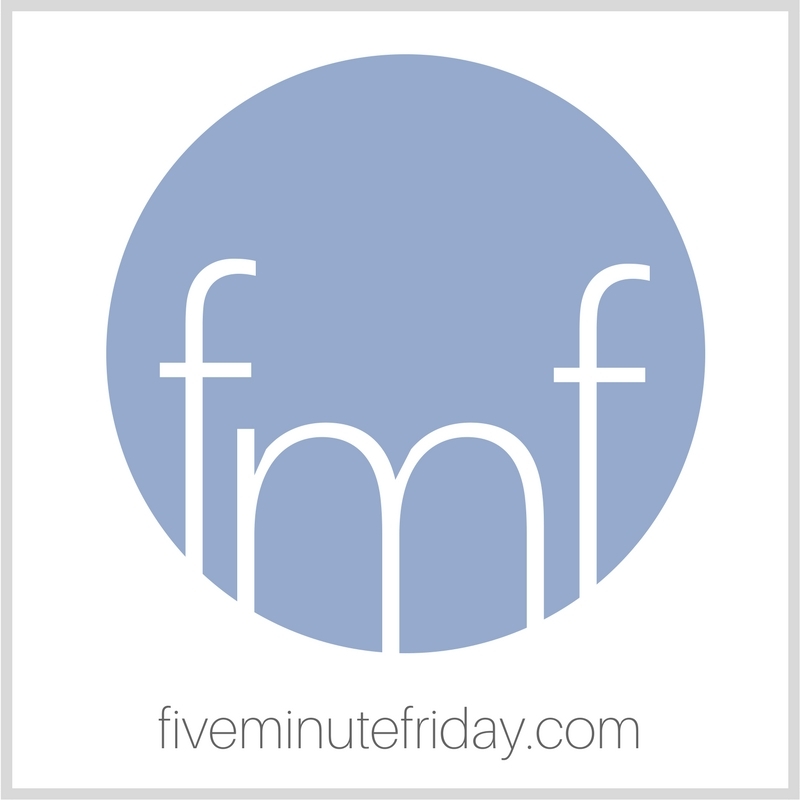 If you’re new to Five Minute Friday, an extra special welcome to you! Learn more about this community and how the link-up works over here. Before we begin, just a friendly reminder that the Hope*Writers membership doors close at midnight on Friday, May 25th! Join Hope*Writers here: www.fiveminutefriday.com/hopewriters This is an affiliate link, which means I’ll get a commission if you choose to click through and join. Thanks in advance for your support! I absolutely love Hope*Writers, and I hope to see you there! Join the Five Minute Friday writing community as we write on the prompt, PAUSE! When is the last time you pressed PAUSE and just stopped to take note of everything around you? When is the last time you stopped to notice the smell of fresh air, to feel the breeze on your face? When is the last time you got quiet before the Lord, inviting Him to speak into your heart and feed your soul with His Word? When is the last time you noticed the sound of wind swishing through the leaves of the trees above, or watched the birds soaring through the sky? When is the last time you sat with a friend and listened, really listened, to their story? When is the last time you left your phone switched off for an entire day or kept your laptop tucked away in its case for a whole evening or afternoon? When is the last time you read a book for pleasure, took a hot bath, or went for a walk just because? When is the last time you journaled, you prayed, you sang in the shower instead of letting the day’s To Do List swarm your thoughts? When is the last time you wrote down a list of things your thankful for? When is the last time you called a friend or loved one just to say hello? As much as I type these questions as a challenge for you, I type them to myself. I haven’t read this book yet but it looks fantastic, doesn’t it? In case you missed my announcement last week, I shared some exciting news: My family is going to be spending nine weeks in South Africa this summer! Lord willing we’ll be there from June 9th through August 12th. And don’t forget to join Hope*Writers before midnight on Friday, May 25th! Join the link-up below with your own five minute free write, then visit the post linked up before your own to leave an encouraging comment! Press PAUSE for five minutes and join us for this free writing challenge! Under the circumstances, I sorta kinda don’t have a choice. But when I’m bent over in pain, I can see the small and quiet desert blooms that before were pressed unheeded beneath my boots. I’m honoured to notice them. Yes! Spring is a wonderful time to do this! Peace and blessings. Thanks for the challenge. I need to take that leave the screens alone for a whole day challenge! I left my phone at home on accident this past Wednesday, and it was intriguing how often I felt the pull to check it or use it…even when it wasn’t there! I also feel it is an additive that can be so good and so bad for our daily living. A twist of different is always good. I need to pause more to take in real life vs. digital news, etc. Thank you for the book rec also! I will look to read so many non-fiction and fiction books this summer. Hope you have a blessed day whatever the pause and play buttons hold for you. Thanks for being our prompt leader! And i’m so glad you shared about Hope Writers last week, and i joined!!! Kate, I am asking myself these questions too + I loved your recommended read. It was a favorite last year! I am praying y’all have a safe trip and a FUN one! Thanks for the challenges! Definitely time to call some of my favorite people (rather than text) just to chat, say hello and hear their voices! !